The thick gel found in the leaf of the aloe vera plant has been used for thousands of years to heal a variety of topical conditions. In fact, aloe gel was one of the most frequently prescribed medicines in the 18th and 19th centuries. The gel is composed of 95 to 99% water along with glycoproteins and polysaccharides. Glycoproteins stop pain and inflammation, while polysaccharides stimulate skin growth and repair, making aloe gel an excellent cream for accelerating the healing process in burns and wounds. But aside from using the aloe gel to heal your skin, researchers have discovered drinking aloe vera juice can heal a broken heart. That is, preliminary research is beginning to confirm the beneficial use of aloe vera juice for preventing heart attacks and strokes. 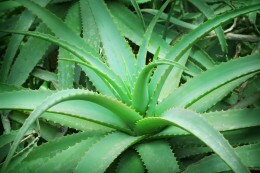 Aloe vera juice is made from the gel of the plant’s leaves. It is rich in vitamins A, C, D, E, and a combination of B vitamins – B1, B2, B6, B12, folic acid and niacin. It also contains minerals such as copper, magnesium, calcium, potassium, zinc, sodium and iron as well as amino acids and enzymes. Results of a study published in the Journal of Nutritional Science and Vitaminology showed that aloe administration lowered liver production of cholesterol by about 30 percent. Additional research has shown that consuming aloe vera decreases LDL “bad” cholesterol levels and reduces triglyceride levels while increasing blood HDL, or “good” cholesterol. [3,4] This is very significant, as many natural remedies for cholesterol control work effectively at lowering LDL levels, but do not always increase HDL levels. Therefore, using aloe vera juice to balance your total cholesterol ratio is uniquely beneficial. It is hypothesized that aloe vera juice helps lower blood pressure and improve overall heart health in a number of ways: Because aloe vera juice contains a high amount of vitamin C, it enhances circulation and strengthens veins and arteries. Other nutrients in aloe vera juice help to dilate the capillaries and boost blood oxygenation, thereby offering therapeutic benefits on the cardiovascular system. There was a decrease in frequency of angina attacks during the study period and patients had their drug dosages gradually reduced over time. By the end of the study, 85% of the patients had their heart rhythm return to normal on an ECG. 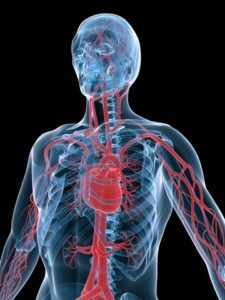 2,151 of the patients were originally diagnosed with hypertension (high blood pressure); all of the patients taking beta blockers, calcium channel blockers or diurectic medications to treat their hypertension and angina had to have their medication reduced to at least half their prescribed dosages. One research study found that taking 10 mL or 20 mL of aloe orally daily for 12 weeks can reduce total cholesterol by about 15%, low-density lipoprotein (LDL) cholesterol by about 18%, and triglycerides by about 25% to 30% in people with hyperlipidemia. Because aloe vera can cause abdominal cramping, it is best to start with a lower dosage (5 or 10 mL) and gradually increase the dose based on the manufacturer’s (or your doctor’s) instructions. Aloe vera is also available in freeze-dried capsules. Follow the dosage directions on the package when taking aloe in capsule form. If you take any medications, talk with your doctor or an integrative physician before taking aloe vera juice and be sure to read the precautions below. Medications for diabetes – One of the health benefits of aloe vera juice can also be one of its main side effects, as it helps lower your blood sugar level. This may be potentially dangerous for people already suffering from low blood sugar. Digoxin and diuretics – Because taking oral aloe can decrease levels of potassium in the body, aloe latex should not be used by people taking diuretics (water pills) or digoxin (a medication used to treat irregular heart rhythms and congestive heart failure). These drugs also lower potassium levels in the body, so a combination of aloe and digoxin or diuretics could cause potassium levels to fall too low. 2. Aloe-emodin, aloin and aloe latex (yellowish substances naturally present just under the skin of the plant) are classified as anthraquinones, a type of laxative. Since these substances may have toxic effects, some medical experts recommend avoidance of aloe juice that contains anthraquinones. One consideration is to use one of the commercial aloe vera juice products that have the anthraquinones removed. Also, it is almost impossible to remove the anthraquinones when trying to make your own juice from the plant. So, if you want to use aloe vera juice on a regular basis, it is highly recommended you use one of the commercial aloe vera juice products. When purchasing a “whole leaf” aloe vera juice, make sure the label clearly states the “emodin” or “aloin” has been removed. Or, you can purchase aloe vera juice made from the “inner leaf” or “inner gel”, which does not contain these anthraquinones. Again, do not try to make aloe vera juice at home; instead, purchase one of these products. 3. Aloe vera juice, when consumed in an excess amount, can lead to abdominal cramping, diarrhea, dehydration and electrolyte imbalance. The preliminary research studies on aloe vera juice are promising. But to achieve the best results for heart attack and stroke prevention, it is recommended you combine aloe vera juice with other health strategies such as diet, exercise, or taking vitamins and other supplements and even certain foods, such as chia. When you download our exclusive Guide, Natural Cholesterol Control: Achieve Healthy Cholesterol Levels Without Drugs, you’ll have an entire list of natural remedies – all in one place – so you can determine which ones are most appropriate for you. J Ethnopharmacol. 2006 Feb 20;103(3):468-77. J Nutr Sci Vitaminol (Tokyo). 2003 Aug;49(4):292-6. Herbal Medicine: Biomolecular and Clinical Aspects. 2nd edition. Chapter 3: Evaluation of the Nutritional and Metabolic Effects of Aloe Vera. Originally posted in 2013, this blog has been updated. 2 diabetes, abdominal cramping, aloe vera, amino acids, angina, antioxidant, antioxidant nutrients, b vitamins, b12, bad cholesterol, bad cholesterol levels, beta blockers, blood pressure, blood sugar, blood sugar level, blood sugar levels, broken heart, calcium, calcium channel blockers, cardiovascular, cardiovascular system, chest pain, cholesterol, cholesterol control, cholesterol levels, cholesterol ratio, congestive heart failure, constipation, cramping, dehydration, detoxify, detoxify the body, diabetes, diabetes one, diarrhea, diet, digestive, Digestive Issues, digestive problems, ecg, exercise, fiber, good cholesterol, hdl, hdl cholesterol, hdl levels, health, health benefits of aloe vera, health benefits of aloe vera juice, healthy cholesterol levels, heart attack, heart attacks, heart failure, heart health, herbal medicine, high blood pressure, hyperlipidemia, hypertension, hypertension high blood pressure, immune system, inflammation, integrative, iron, ldl, ldl cholesterol, ldl levels, lipoprotein, low blood sugar, low density lipoprotein, lower blood pressure, lower blood sugar, lower blood sugar levels, lower your blood sugar, lowering ldl, magnesium, natural cholesterol, natural cholesterol control, natural remedies, natural remedies for, natural remedies for cholesterol, niacin, nutrients, pain, potassium, preventing heart attacks, probiotics, risk of heart attack, side effects, skin, stroke, stroke prevention, sugar, sugar level, sugar levels, supplements, total cholesterol, triglyceride, triglyceride 2, triglyceride levels, Triglycerides, type 2 diabetes, vitamin, vitamin c, vitamins, without drugs, zinc. I have never heard of aloe vera being used for anything other than sunburns; I really enjoyed hearing about the interesting research on its health benefits. Thank you! Wow, it sounds like this is a miracle drug. I have never heard of aloe vera juice, but I am certainly going to research this a lot more. Where would aloe vera juice be sold?